As many students are eagerly anticipating the beginning of Manchester Metropolitan’s welcome week, some have already begun their university experience. This week, the University is welcoming a record number of students on to its Degree and Higher Apprenticeship programmes. Apprentices will get to know more about the University and each other during a busy week of induction activities. Sessions ranging from a digital treasure hunt to workshops on company culture will break the ice and get students thinking, before they begin the first of their academic units later in the week. This academic year sees new and returning students enrolling on the Legal Services, Chemical Science and Digital & Technology Solutions programmes and the University is welcoming students for the first time on the new Chartered Manager Degree Apprenticeship. 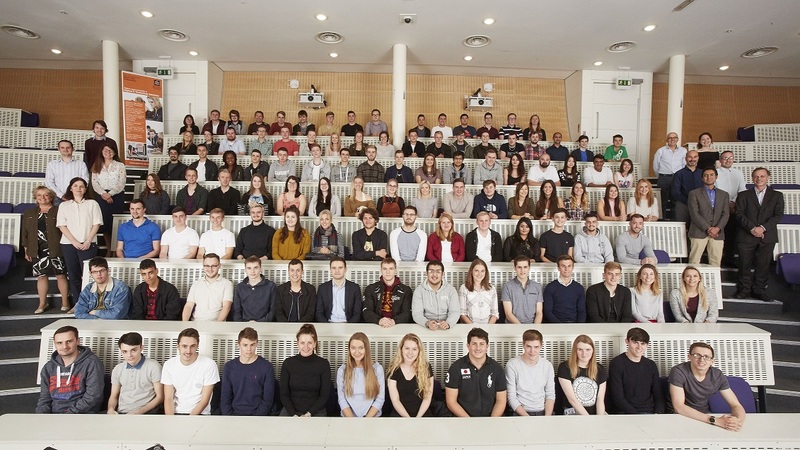 The next generation of IT, Legal, Chemical Science and Management professionals have chosen to study part-time for a full honours degree or other higher-level qualifications, while working for some of the UK’s leading employers and high performing regional SMEs. Apprenticeship programmes have recently received a boost following a recent funding announcement by the Government. It will mean smaller employers will only pay a maximum of 10% of the tuition fees for apprentices and larger employers (payroll above £3 million) will be able to utilise their payments into the new Apprenticeship Levy to cover the costs of training. There are also added financial incentives for Greater Manchester Employers as well.